Joseph C. (Joe) Majdalani, Ph.D., P.E. 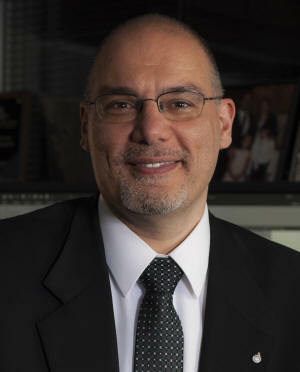 Dr. Majdalani presently serves as Professor of Aerospace Engineering at Auburn University. He previously served as the Auburn Alumni Engineering Council Endowed Professor and Chair of Aerospace Engineering at Auburn University (2013-2016) as well as the Jack D. Whitfield Professor and H. H. Arnold Chair of Excellence in Advanced Propulsion at the University of Tennessee Space Institute (2003-2013). Dr. Majdalani is known for his work on acoustic instability theory and vortex engine technology encompassing solid, liquid and hybrid rocket applications. He is presently a Fellow of ASME, Associate Fellow of AIAA, Chair of the AIAA Hybrid Rockets Technical Committee, Chair of the Solid Rockets Technical Awards Subcommittee, Associate Editor of the International Journal of Energetic Materials and Chemical Propulsion (Begell House), and AIAA Instructor for two short courses . Dr. Majdalani’s research devotes itself to the theoretical and computational modeling of wall-bounded thermofluid and propulsion systems that are mainly driven by either wall-normal or wall-tangential injection. His interests span both low and high speed fluid mechanics, vorticoacoustic instabilities, engine internal flowfields, vorticity dynamics, and singular perturbation theory. His research activities since 1997 have materialized in over 270 publications in first-rate journals, book chapters, and conference proceedings, mostly in the field of propulsion. His work on helical flow modeling has led to the discovery of new Trkalian and Beltramian families of solutions to describe cyclonic motions in self-cooled liquid and hybrid rocket engines. These have paved the way to understand and optimize a family of cyclonically-driven hybrid and liquid rocket engines. His work on wave propagation has resulted in the development of a generalized-scaling technique in perturbation theory, and of a consistently compressible framework for capturing both vorticoacoustic and biglobal stability waves in simulated combustors. These have led to a new framework for modeling combustion instability in rocket systems. Recently, his work on compressible gas motions has required the inception of a systematic procedure for modeling high speed flow problems. In fact, a total of eighteen dimensionless parameters have been newly identified in the course of his research investigations. These parameters have played a key role in guiding experimental procedures and shaping research investigations that explore the technical benefits of swirl driven rocket engines.